Karasina Dritselis assists attorneys with a variety of litigation matters. She has substantial experience in the areas of case and document management, and regularly manages many cases at any given time. She is skilled in legal and investigative research, and has substantial experience in digital case management, including digital imaging and e-discovery methods. Her experience extends to the drafting of legal documents and correspondence, witness location, database management and document review. 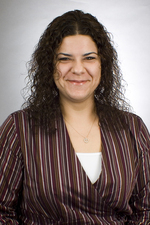 Ms. Dritselis joined Hinshaw & Culbertson LLP in September 2007. Previously she was a paralegal from 1999 to 2002 and again from 2004 to 2007, at Anesi, Ozmon, Rodin, Novak & Kohen, Ltd.